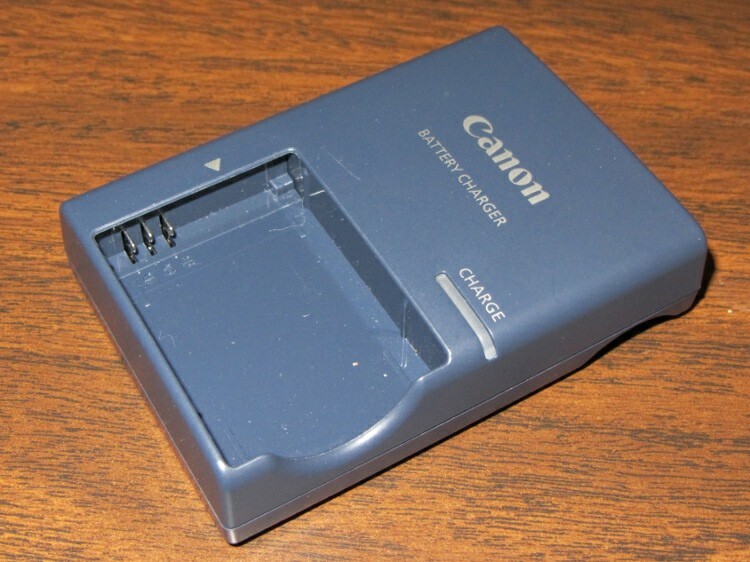 A first cut at a holder for Canon NB-5L batteries with those dimensions, with the intent of connecting them to a battery tester. The cloud in the middle of the bottom holds pin dimensions, which I measured after I’d been doodling for a bit. They come from my heap; they’re nice heavy-gold plated male pins (yeah, I have the other gender, too) intended for a multi-pin connector. They have a convenient hole that’s normally used to verify you’ve actually soldered the wire properly. 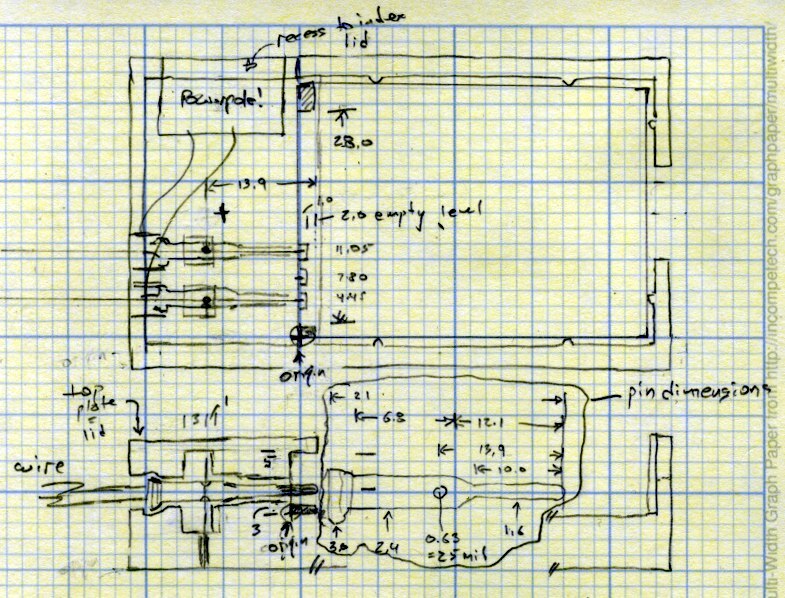 I plan to stick a music-wire spring in the hole and secure it through the bottom of the holder with a rectangular pocket below the pin that limits the travel in both directions. Drilling the hole completely through the pin to let the spring wire stick out would prevent having it fall out at the end of travel. The spring pocket dimensions are right down around the very limit of the feature sizes my TOM can achieve. I’m not sure those blind holes will actually open up far enough. I’m also not sure the Powerpoles will actually fit in there like that. There’s nothing wrong with pigtail leads.